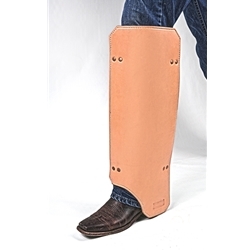 Athletic protective rubber shinguards. Built from thick skirting leather, that form around your boot. Adjustable straps made of latigo leather with heavy duty stainless steel hardware. Sold as a pair.